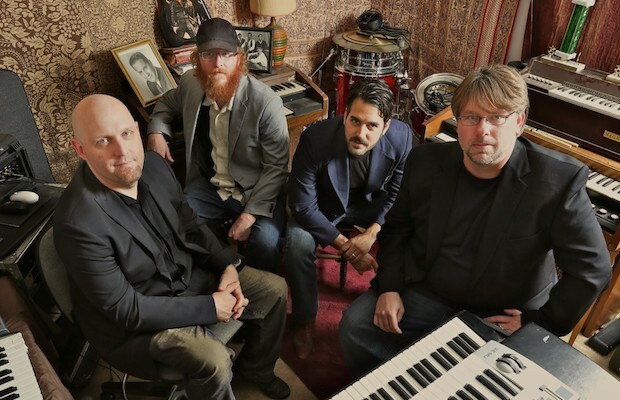 With a career stretching nearly two decades, veteran southern jam band Perpetual Groove are returning to Nashville for a top billing engagement at The Basement East on Saturday, August 12. Alabama based prog rock outfit CBDB will be performing in support, and tickets are available here, but don’t sleep on them! If this gig is anything like last year’s outing, the potential for booty shaking past midnight is very high. Even better news? We’re giving away a pair of tickets to one lucky fan! Read on for more about the lineup, and enter for a chance to win below. Formed in Savannah, Georgina at Savannah College of Art and Design around 1997, Perpetual Groove‘s sound beautifully blends together elements of southern rock, synth, funk, indie and even jazz into their improvised live shows. They released their eponymous first record in 1999, and soon began to draw wide spread attention within the jam band scene following the release of their sophomore effort, 2003’s Sweet Oblivious Antidote. Backed by a reputation for being one of the hardest working bands in the jam circuit, their profile only rose with the release of 2007’s LIVELOVEDIE. Two more releases would follow, before a return to their new home base in Athens, GA, for a brief touring hiatus. Recharged, they are now into year two of PGroove 2.0, and in support of last year’s stellar EP, Familiar Stare, they are touring hard as ever. With nothing off limits in terms of their sound, expect to hear trance, psychedelia, jazz, electronica loops, and progressive rock, backed by a stellar lights show. A festival staple for a while now, PGroove are hotter than ever, now that they’ve come out of their break with the original lineup back in action. Don’t miss your chance to catch one of the sickest bands in jam, right in your own backyard, and don’t forget to enter for a chance to do it for free! Another southern band that’s steadily growing in the national music consumer’s consciousness, CBDB have been known to jam it out as well, albeit in a little different style. Self-proclaimed providers of “joyfunk,” the Tuscaloosa, AL, based outfit lean more on the prog side of jam rock, and they aren’t afraid to the let the distortion drip heavy at any given moment. Their debut record, Joyfunk is Dead, is worth some heavy airplay if you haven’t gotten hip to it already, and they have a duo of new singles, “She’s Mobile,” and “Old Dog,” you can check out right here. Of course, as with pretty much every band we write about, they are best appreciated live, so don’t miss your chance to see them for free on Aug. 12, by entering to win below! Winner will be announced Thursday, Aug. 10 at 12 p.m. CDT, and will receive one pair of tickets. Good luck! Win Tix to Perpetual Groove at Basement East!